STUDENTS AT VESEY CREATED AND SENT VALENTINES TO VETERANS. VESEY HAS MANY THOUGHTFUL STUDENTS. 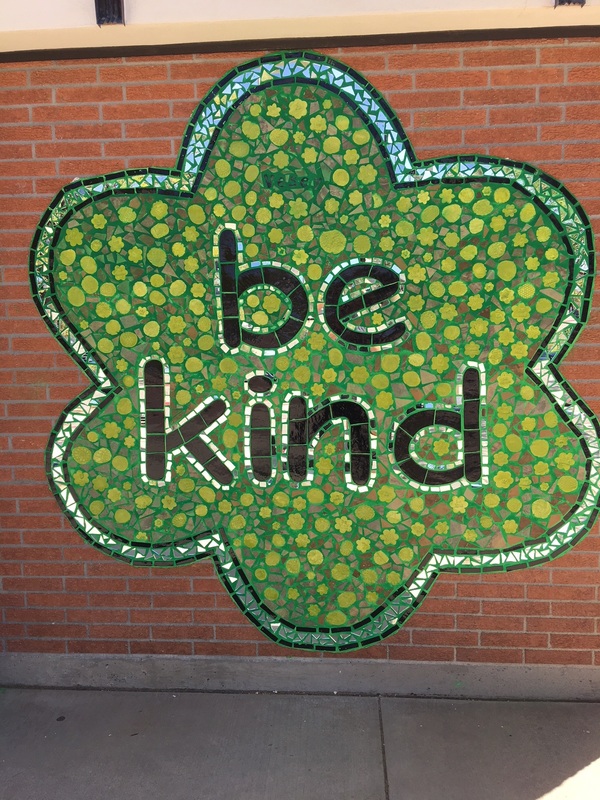 We are a "Be Kind" school! We are officially a "Be Kind" school!! Thank you so much to all the supportive parents, amazing students, and dedicated staff that assisted in creating this beautiful piece of art on our wall. NEW students need birth certificate, shot records, proof of address and parent picture I.D. If you are a returning student to Vesey, please make sure you have turned in all the required documents to complete the registration process. 2019-2020 Kinder Round-Up is scheduled for Tuesday, March 5th. There will be two sessions: 9:30 am and 5:00 pm. We will be presenting parent information, kindergarten curriculum and a tour of the school. We will have office staff available to help you complete your children's registration online. Please bring in your child's birth certificate, shot record, proof of residency, and a photo ID of parent or guardian. If you are unable to attend, please feel free to come into Vesey anytime after March 5th to register your child. Take a look at the new Schedule of Workshops and Events--we have lots of great things happening at the Family Resource Centers! Family involvement is critical to student success. Since you know better than anyone about your experiences with your child's school, we would like to hear from you. Please take a few minutes to complete this survey. The information you provide will help us learn how to better support families as partners in their children's education. Your answers will remain confidential. Thank you to Bess Spiva Timmons Foundation! Vesey would like to send a special thank you to the Bess Spiva Timmons Foundation whose generous donation helped bring Reading Seed to our school. Vesey is very grateful for your financial support to help our students continue to grow! Vesey Elementary School offers a variety of experiences to provide meaningful, individualized learning. Teachers provide one-on-one, small-group and whole-group instruction to meet the needs of every student. The school has a multi-age classroom as well as a “looping” option, where students can stay with the same teacher for more than one year. Vesey has a data wall for reading and math where teachers can see how all students are doing in color-coded fashion: names in red, yellow or green. Teachers use the wall for lesson planning and to get a clear picture of children’s needs. Through all classes, standards-based curriculum is designed to ensure children excel at the next level. The school also offers orchestra and band, full-day kindergarten and arts instruction in a supportive environment where each child is made to feel important. Tucson Unified School District assesses students’ mastery of Arizona’s state standards in English Language Arts (ELA) and Math using district tests known as Benchmark Assessments. Click on the TUSD Benchmark Assessments link above to find out more information. 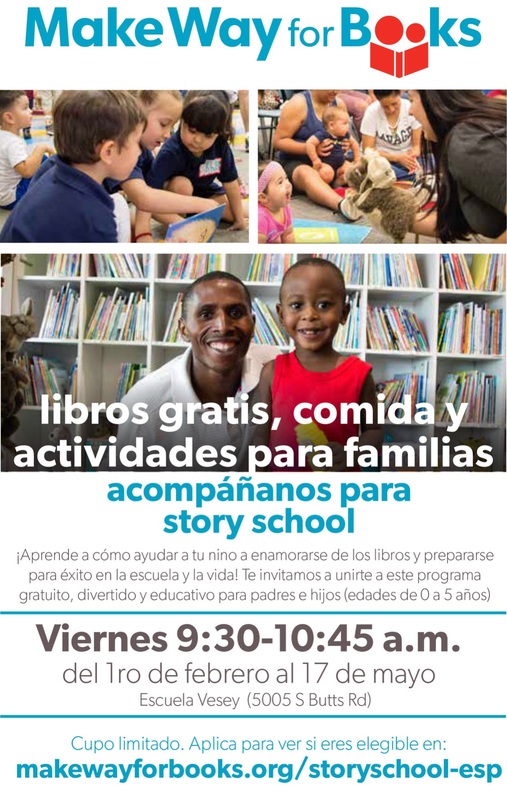 Free books, fun, and activities for families!!!! Learn how you can help your child fall in love with books and get ready to succeed in school and beyond! You're invited to join us for this FREE, FUN, and EDUCATIONAL program for parents and children (ages birth to 5)!!! Fridays 9:30-10:45 am from February 1st to May 17th at Vesey Elementary School!